I hope all my Aussie friends enjoyed Father's Day with their Dads, Partners and Family! This is the card I made for my Dad who plays the drums! The image is a Greeting Farm Digi Stamp, the polka dot paper is from My Mind's Eye but I'm not sure about the other pattern paper. The cardstock is Riding Hood Red and the sentiment is computer generated. 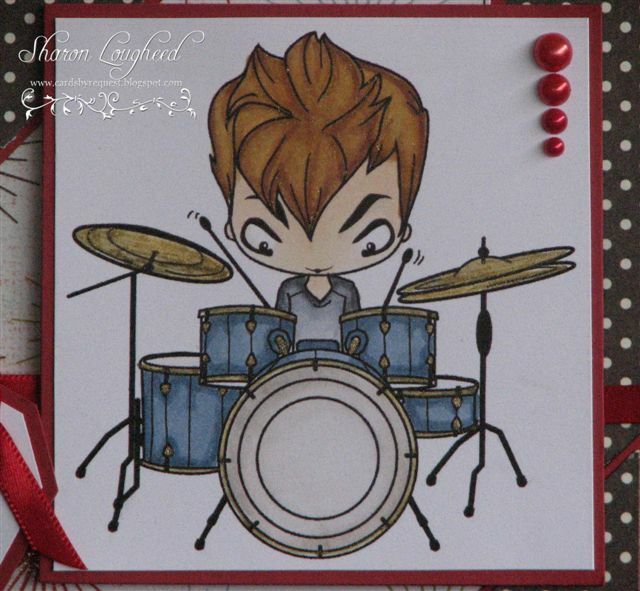 My image has been coloured with copics and I've used the gold spica pen on the drum hardware. Beautiful card! You did a great job! Thanks for entering the Copic Oz challenge. CUTE card, Sharon! 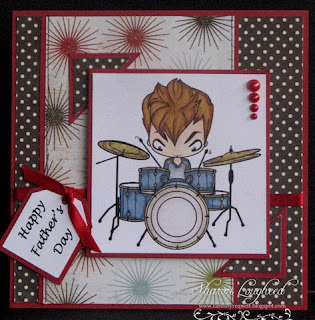 perfect masculine card, and i love how you were still able to incorporate ribbon into it! (i can't get away from the stuff) thanks for joining the Charisma Gals this week! WOW!! i love the stamp!! where did you get it!! i want one!! WOW! i love the stamp!! where did you get it?? i want one!! 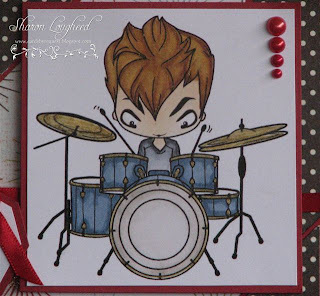 cos i love guys and drum kits and it would go prefect for a friend or 2! !